Stop: Simple fact, I rank #1 in the entire USA for SEO Expert. Bottom line is, I have been doing this 20 years and have a better grasp of online marketing than 99.9% of my competitors. Also, avoid the SEO agency hype, they operate on churn and burn models based on sales and not results. Talk with me before you make a BIG mistake. Running a chiropractic practice can be a difficult task these days with large corporations taking over in just about every city. Even operating a successful business has to survive the pressure of well-funded competitors. With a strong online presence, your business can grow from being relatively unknown to the first choice when a person needs your service. With the help of my Chiropractor SEO Services, I can make this happen at an affordable price for your business. There are many online marketing companies, but SEO Expert Brad will provide professional, successful results.  Why should I Use Digital Marketing to Grow my Chiropractic Practice? It is easy to overlook Local SEO as a necessary tool for your business. After all, businesses ran on word of mouth before the internet and did just fine. Unfortunately, this is no longer the case. With the help of the web, it is easier now than ever to find anything you need. And, this means people will often see a competitor before ever seeing your business. With SEO, you will be able to remedy this problem professionally and quickly. We can make this happen by having us work with you directly to assess your business and its individual needs. Through our many years of experience, we understand that no two companies are the same even though they are in the same industry. Therefore it is essential that each business utilize a custom strategy. I take the time to research my clients to make sure I deliver the most exceptional possible search engine results for the needs of their specific business. For a local business, SEO becomes vital to prospering in the often fierce competitive market. To make sure your business is among the first results a resident receives while searching for a Chiropractic office, SEO is practically required. Imagine your location sits in the middle of Dallas. When your potential patients search in their area, all the results are your competition. It would be much like if you refused to hang any signs about your office anywhere near it. How can your clients hire your services if they have trouble finding you in the first place? Using search engine optimization is essential to drive new leads to your practice. I will work with you one-on-one and explain every detail each step of the way. I will carefully clarify just what it is you need to be successful with your online marketing strategy. Once we are on the same page, I will begin my careful investigation into your business competition to gain a better insight into what it is your company needs. Once I have all the information needed to create your strong online presence, we then begin the best part, utilizing these plans while watching your marketing strategies do their job, which is growing your business. I want to make this process simple and fast. To accomplish this, there are a few things that are necessary from the beginning. First, listing your location on Google Maps will make it so clients can find you quick and easy on all devices. It also makes it much easier for SEO to bump your search listings up in local areas. Second, setting up a “My Business Account” with Google. Here, I provide the information needed to list your business officially. Your hours, phone number, and address will appear in searches. That is also the perfect place to post any relevant reviews happy customers have given you after visiting. SEO also assists our clients in developing better online reviews for their Google listing as well as personal listings. It also helps increase word of mouth references. With positive reviews available, this will give customers the confidence needed to give your business a try over a trusted competitor. Lastly, submitting your information to local business directories will give you another level of visibility in the community. Are you wondering how to get new patients? Of course, all of this sounds relatively easy when laid out as simply as this. After all, if an SEO can do it, why can’t you? In truth, it is much harder to optimize your website for the search engines, especially while running a business. As a business owner, your attention should rightfully remain devoted to making sure your Chiropractic practice succeeds and becomes a profitable endeavor. I work with many of the top Chiropractic clinics across the country. Note, I only take one client per city. Why not let the trusted professionals at SEO Expert Brad help you in the way I have been building other businesses for years? I continue to show my dedication by promoting your business maintain a healthy online presence so you can focus on the growth of a healthy business! SEO consulting services are vital in this day and age. Ensure your business can thrive in the sometimes harsh and competitive online market. With my help, youwill become busier than ever before. I take pride in my ability to give your business the chance it may need to succeed. Together, we can make this happen by showing the world how great your services are. Chiropractor Marketing and Search Engine Optimization is my specialty.